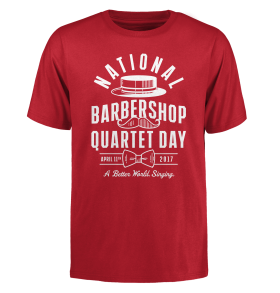 National Barbershop Quartet Day commemorates the birth of the organized barbershop movement on April 11, 1938, when 26 men gathered together at the invitation of Rupert Hall , the “Royal Keeper of the Minor Keys,” and O.C. Cash, “Third Assistant Temporary Vice Chairman” for a songfest. Subsequent gatherings snowballed, leading to the founding of the Society for the Preservation and Encouragement of Barber Shop Quartet Singing in America, now known as the Barbershop Harmony Society. Today, a worldwide network of harmony singing societies spans generations and tens of thousands of singers. If you're already part of an organized quartet (or larger group), take your show on the road! This is a day to sing out loud and proud, so seize the moment to stage a local performance or a surprise pop-up concert in your community. This could also be a great time to plan an event with your local choruses and quartets - plan a joint rehearsal, throw a tag party, or just get together to celebrate Barbershop. While you're at it, take a minute to look around and appreciate the path from 1938 to the present. Honor and listen to the longtime Barbershoppers tell “how it used to be.” Invite your singers to share stories about their Barbershop beginnings. Every day is better with barbershop, and #barbershopquartetday is the perfect time to share your favorite quartet performances from our YouTube channel. Post photos of your first quartet, your current quartet, or your favorite quartet picture on Facebook, Twitter, or Instagram! Make sure to tag everything with #nationalbarbershopquartetday and give some Likes and Shares to others. 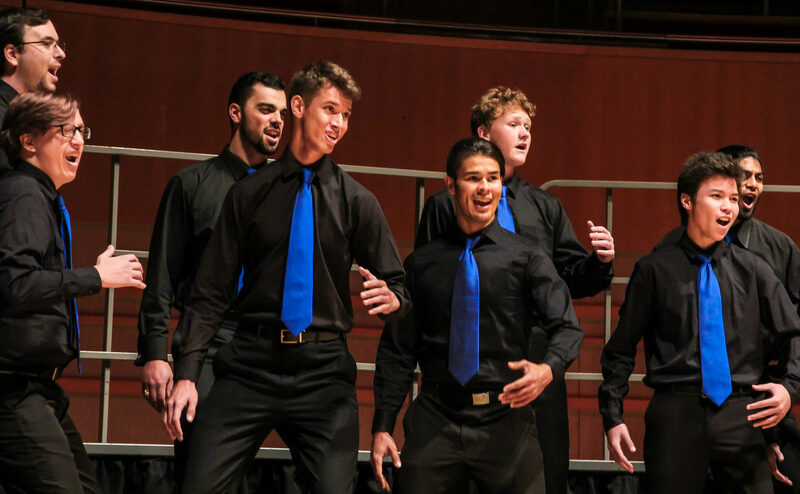 Let's fill up our social media feeds with some Barbershop Quartet Day awesomeness! a sample news release you can use to alert local media to your National Barbershop Quartet Day celebration and your chapter's accomplishments. a sample proclamation recognizing National Barbershop Quartet Day in your local municipality. 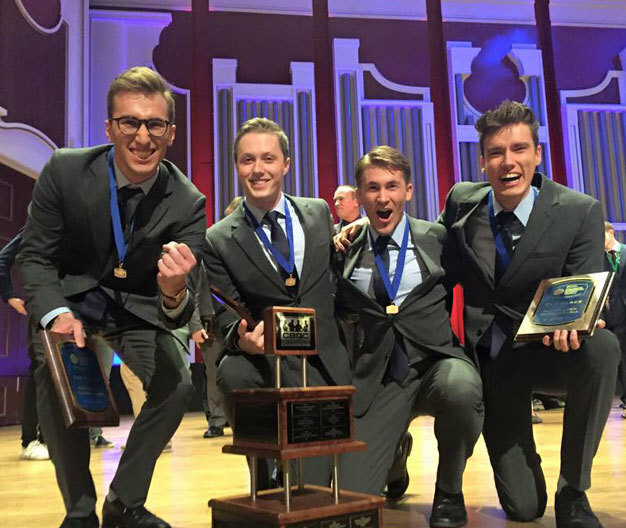 Hear the sound of barbershop evolve in David Wright's landmark History of Barbershop Class from Harmony University online. Explore the history of the Barbershop Harmony Society in words and pictures: the early years, the first invitation, and O.C. Cash telling the story on the radio. Barbershop is fun to watch, but even better to DO! 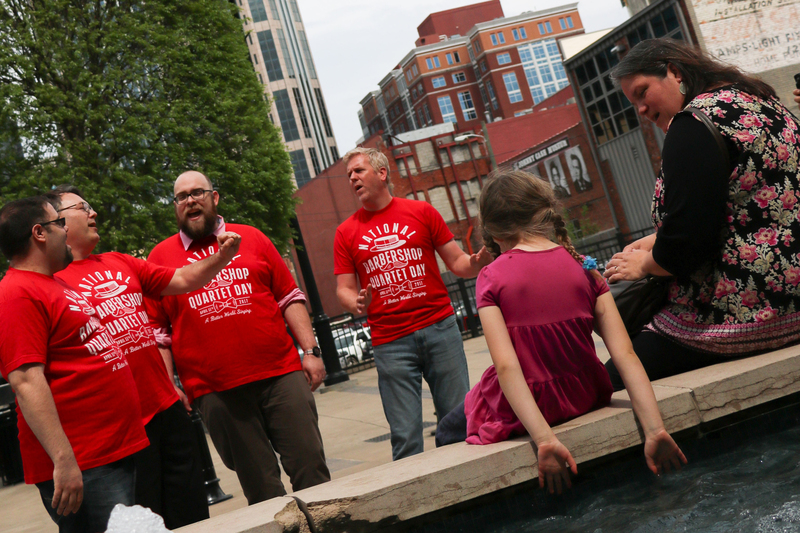 Men and women of all ages are welcomed as members of the Barbershop Harmony Society. Whether you prefer singing in an all-men's group, all-women's group, or a mixed-voice ensemble ⏤ or all of them!⏤ there's probably an opportunity to sing along right in your own backyard. Barbershop has gone global, too... with affiliate organizations all over the world.